burny wrote: Great watch, but I was under the impression the ‘Automatic’ text should be in the middle of the row of squares. Super happy with this. First luxury watch and it won’t be the last. Being that I don't wear my watch if I'm working, which is sometimes 7 days, I'm more inclined to getting a no date as well. Having to constantly set the date is doing my head in. Aesthetically I think it looks nicer as well. @eazypz - I went this route aswell as I have a few watches. 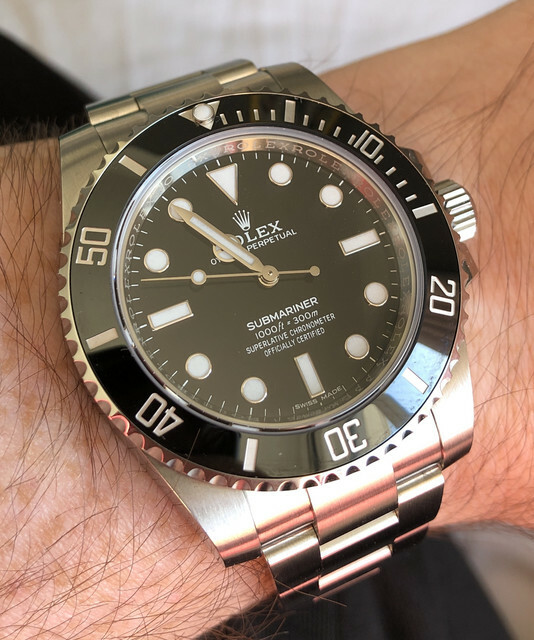 Sub is very convenient as if the power reserve has run down you can throw on and set the time very quickly, whereas with my GMT Master II it takes that bit longer as there is no quick set date function. Cheers boys. Get yourselves a watch winder - problem solved, no? It’s this exact one ! You’ve been out of the game too long Jordan! Gaz wrote: Cheers boys. Get yourselves a watch winder - problem solved, no? Don't like the idea of the watch working when I'm not wearing it, just gonna need servicing a lot quicker than it would otherwise I think. Not sure if the start/stopping is better for it actually or just constant movement. Anyone shed any light on this? Gaz wrote: Super happy with this. First luxury watch and it won’t be the last.